Cape Coral Music - If you like to listen to live music or go dancing, we've got some terrific places right here in the Cape. That's one of the nice things about living in Southwest Florida, it's not only the bars and night clubs, but also so many restaurants feature live music. Area bands and singers perform rock, blues, country, Caribbean, Motown, jazz, and Big Band. 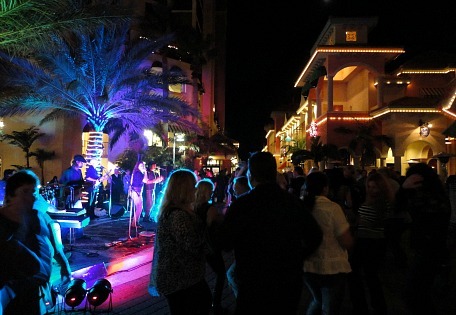 You can go dancing under the stars or go to outdoor concerts throughout the year since the weather stays nice, and many snowbirds and summer vacationers are looking for fun nightlife. Fathoms - At Cape Harbour, rock bands play every Tuesday and Friday nights outside at this tiki hut bar. Very popular with the locals. 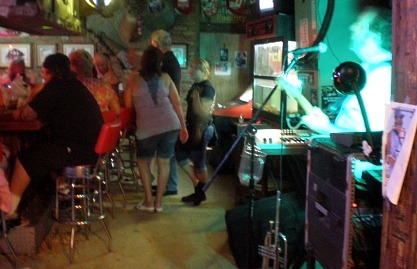 Dixie Roadhouse -One of the few night clubs in Cape Coral, popular for it's country music and line dancing. The Nauti Mermaid - Nauti is the waterfront bar and grill at Marina Village Resort, live music on the weekends. Berts Bar - Rock and blues bands most nights, go on Thursdays to hear and dance to Deb and the Dynamics. Cork Soakers - Live music Thursday - Saturdays, serving tapas, wine, beer, and specialty cocktails. Woodys - Steel drums, Jimmy Buffet, Floribbean music, also at their outdoor tiki bar. Bubbas Roadhouse - Solo performers play at this bar and restaurant. Overtime Sports Bar - Pizza and pub food with live music most nights, trivia on Wednesdays. Island Cafe - Live music on the weekends on their outdoor patio that has one of the best waterfront locations in the area, good food too. Micelis - Waterfront restaurant, bands play under tiki hut right by the water. 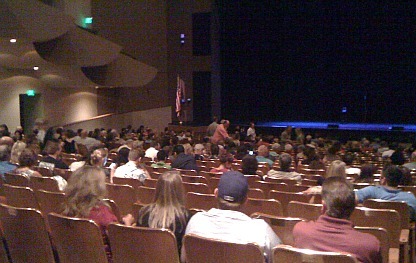 Cultural Park Theatre - In Cape Coral ........ plays, shows, choirs. Broadway Palm Theatre - In Ft Myers ......... dinner theatre. Barbara B Mann - Concerts, plays, comedy, other performances. Germain Arena - Concerts, also home of the Florida Everblades Ice Hockey team. Naples Philharmonic and Museum of Art - Classical and pops music. Jazz and Blues Festival - I love going to this festival, it's at Marina Village Resort right on the water, usually in March. Irish Festival - Also in March, to commemorate St Patricks Day, this festival features authentic Irish music, food, and crafts. Oktoberfest - In October at the German American Club, German oompah music, dancing, food, rides, and crafts. Coconut Festival - Local, and nationally famous bands play at this festival in November, known also for it's rides, food, crafts ....... and coconuts, of course. Cape Coral Bike Night - Live rock and blues are played at this city bike event during season ........ 2nd Saturdays of the month, October, December, February, and April. 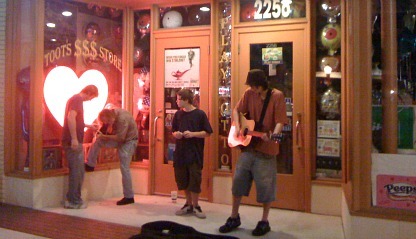 Fort Myers Art and Music Walks - Music walks are year round on the 3rd Saturday of the month in downtown Ft Myers' River District. Musicians play on every corner and in the various bars, cafes, and restaurants. Galleries and shops stay open late as well ....... it's a blast!